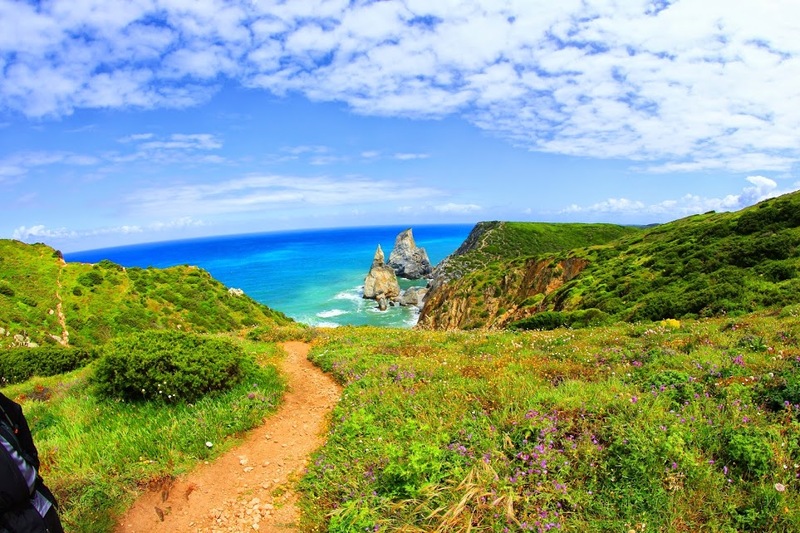 In this Walk Hike 7 days vacation pack we share “off the beaten track” walking in the Sintra-Cascais Natural Park with you, mixed with wine tasting experiences and regional delicacies at local wineries, cellars, and restaurants. 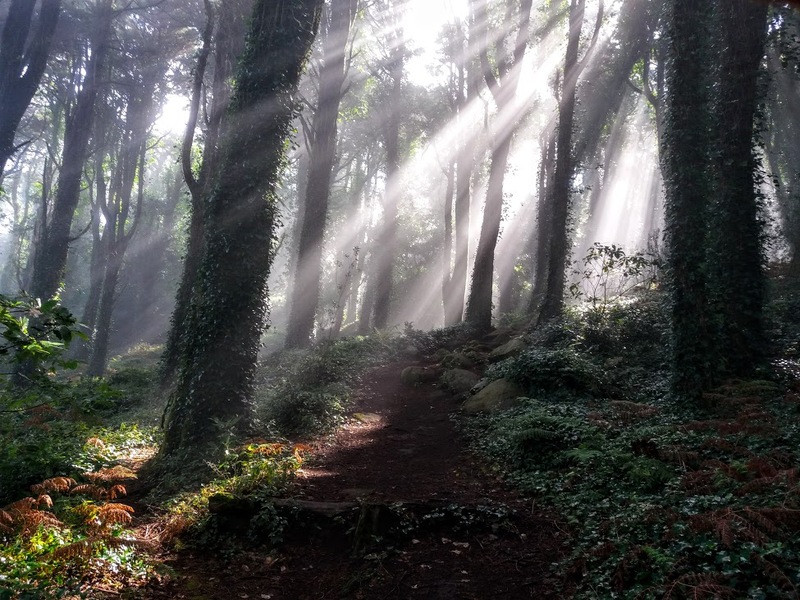 Sustainable Tourism is our habitat, and our goal is to make you aware of one of the most beautiful and enigmatic landscapes in our country, the Sintra sierra, otherwise known as the Moon Hill, its unique forest, biodiversity, and huge promontories bathed by the majestic Atlantic Ocean. 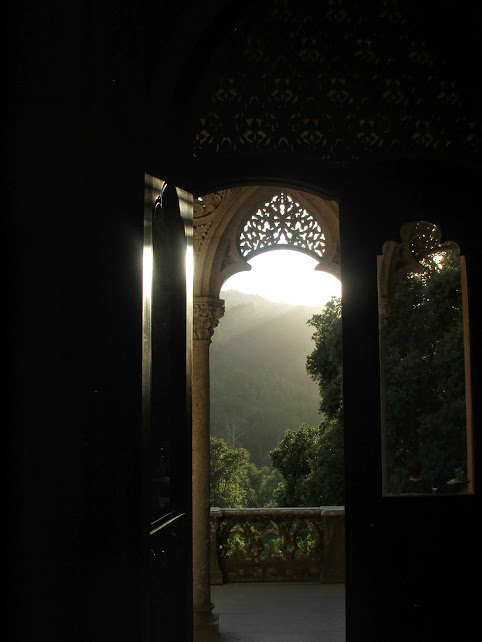 Sintra, untouched since the XIX century and World Heritage by Unesco since 1992, is a cultural treasure that we would like to help you discover. We will also give you a flavor of Lisbon. In this ancient city, one of the oldest capitals in Europe, full of history and light, we will know its more traditional streets, its people, its smells and colors as well as some of its secrets. Together with all this, we will also meet the largest center of migratory birds in all Europe aboard of a boat specially designed for the activity of bird watching, one of the biggest wine producers farm of the center region of Portugal, their wines and the opportunity to have an equestrian baptism with “Pure Lusitano Horses“ race. In this 8 days program, we try hard to integrate you into local communities, introduce you to our people so that you may experience our food, listen to our stories and share our secrets. 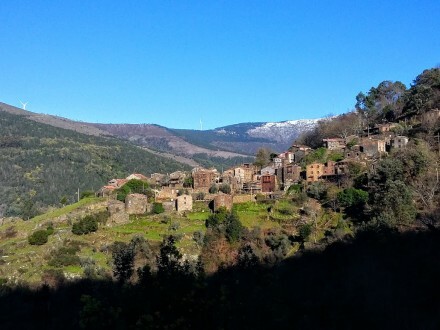 Our walks always contemplate the mix between Natural Park – Communities – Cultural Park. 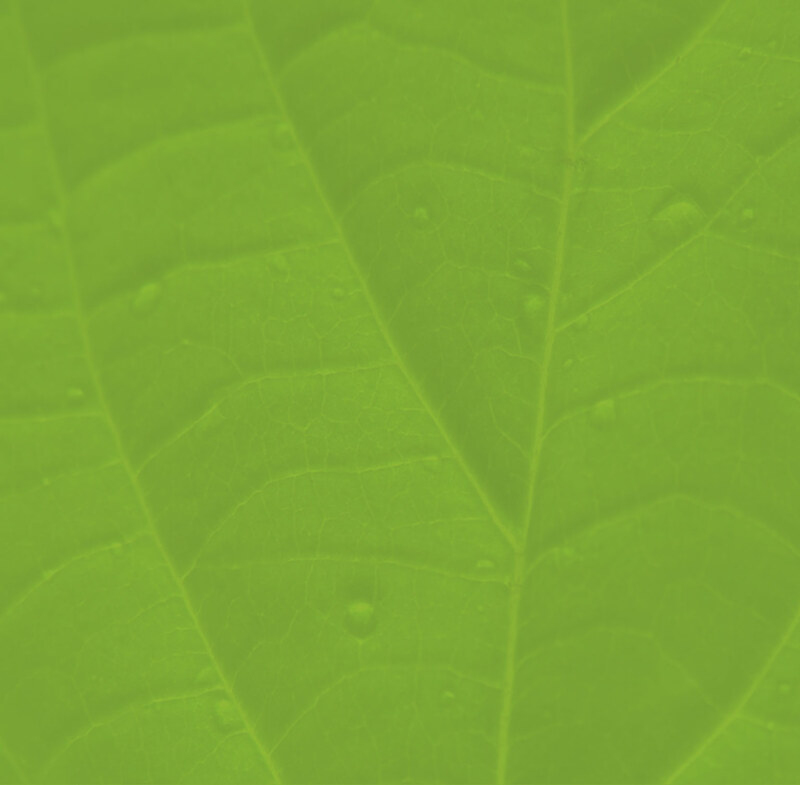 Thus, we provide enriching experiences for our clients feel closer and more integrated. 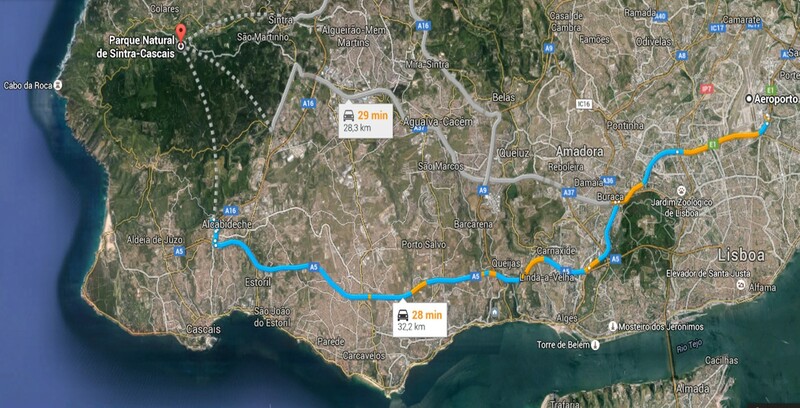 We start our program with the transfer from the airport to the hotel, which will take between 30 minutes to 1 hour, depending on traffic. 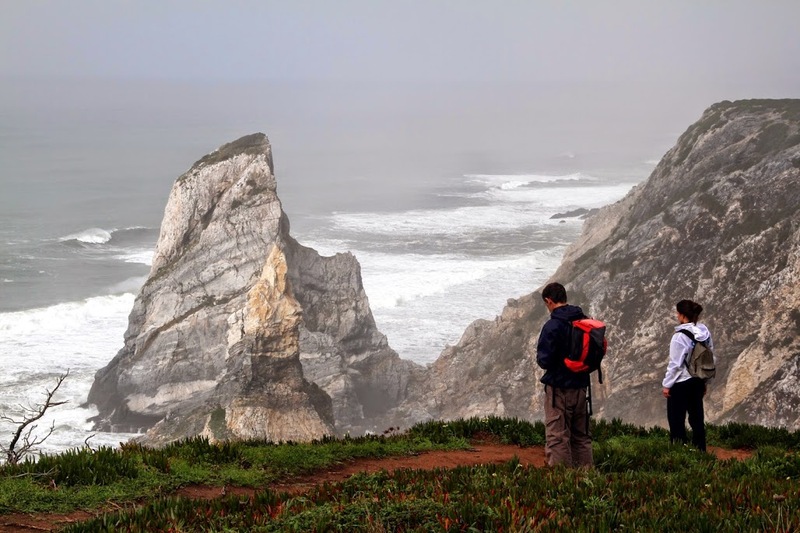 In the hotel, our hikers can have a small rest before dinner, which will be in a local cozy restaurant in Sintra village, where they will taste the good Portuguese food. This hike takes you to visit two wonderful gardens and its monuments. “Monserrate”, which is one of the most beautiful creations of the Romanticism landscape, as well as it´s a very beautiful palace. Immortalized by Lord Byron, “Monserrate” is one of the most famous and exotic Europe “Victorian” gardens. Before the picnic in the “Monserrate” gardens, we will go through a pleasant and peaceful forest corridor with about 7km which link these two wonderful gardens and monuments. The way back, although shorter, is no less beautiful, with the warm light of the end of the day penetrating in the forest canopy and where we can also enjoy the forest that surrounds the “Lagoon of the Musketeers”, reflected in its calm waters. Optional Experience: After we will have a wine experience in one of the oldest wine regions of Portugal, created in the year of 1752 by Sebastião Melo, Marquis of Pombal a kind of Prime Minister and very powerful men who became famous for being the responsible for the reconstruction of Lisbon after the 1755 terrible earthquake. This high quality fortified wine born in the Carcavelos Certified Wine Region and it will be here where we will visit the vineyards and two wineries. 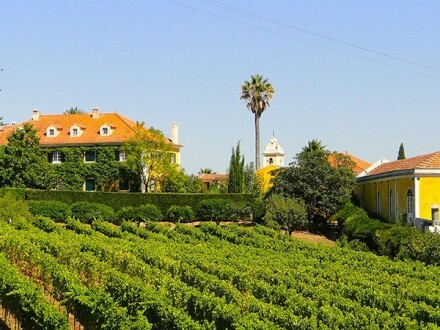 In the end, inside the original Winery, a beautiful building of the 19th century ordered to be built by the Marquis of Pombal, we will try 3 of this fine wines. In this day the dinner will be free. Note 1: The picnic it´s not included in the base price. Note 2: The wine experience is not included in the base price, but it can be included as an extra. In this day 5, we are going to meet a more mystical and occult Sierra de Sintra side, Humanity Universal Heritage. 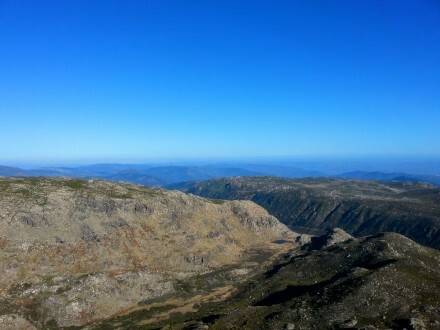 On this walk, we will meet its people and their customs and feel what is considered the most beautiful and mystical Portuguese sierra. 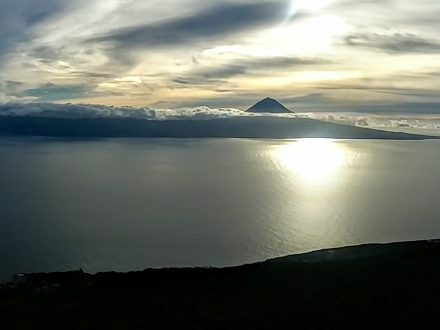 We´ll go to one of its highest points, the “Peninha” shrine, and marvel at the infinite views. We will meet the most typical village of Sintra, whose beginnings date back to the sixteenth century, the “Holy Spirit” village. Known for its countless fountains and streams, is here that we will do our lunch in a rural tavern where we can taste the local food. After the meal, and along some horse breeders farms, we will enter again in a forest corridor toward the “Capuchos” convent, where we will finish our hike. Optional Experience: A wine tasting in the most western vineyard in Europe, will be our next experience. 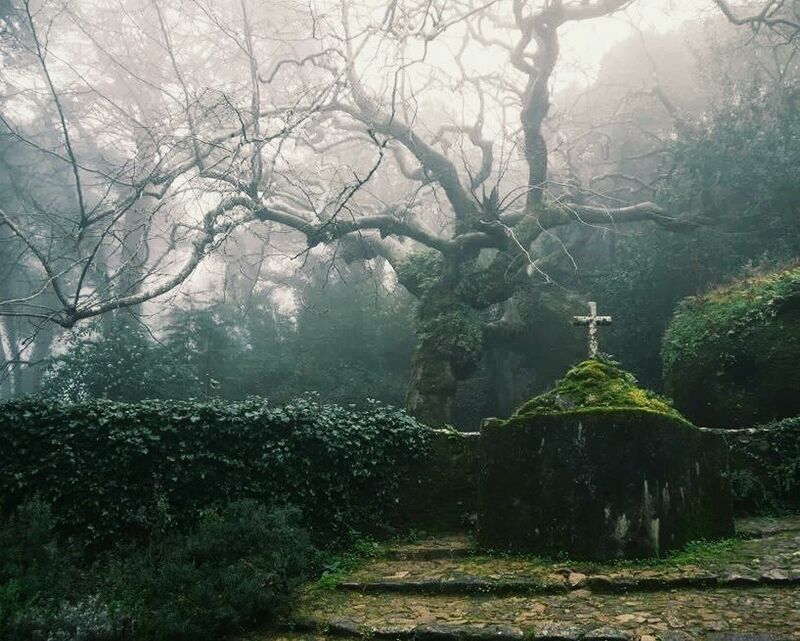 This local farm, built in the 18th century, stands between the Atlantic Ocean and the Sintra sierra. Its wines are characterized by their aging-potential, character and complexity. After visiting the vineyards and the winery, we will have a wine tasting where we will try some of the most enigmatic fine wines of Portugal. Thanks to the proximity of the sea, these wines have a strong savory sea note, being also very fragrant, fresh and balanced. The dinner will be free. Note: The wine experience is not included in the base price, but it can be included as an extra. 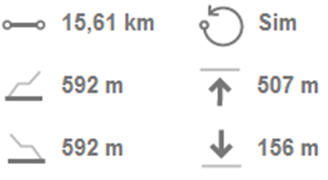 In this day 4 we will travel to 80 km north of Lisbon, in the Tagus River, the biggest river in Portugal, where is the largest center of migratory birds in all Europe. That’s where we’ll go. Aboard a boat specially created for the activity of bird watching, we´ll sail through the beautiful blue waters of the Tagus. In addition to the numerous species of birds, it is very possible that we see some of the herds of horses residing either in the islets or on the river banks. 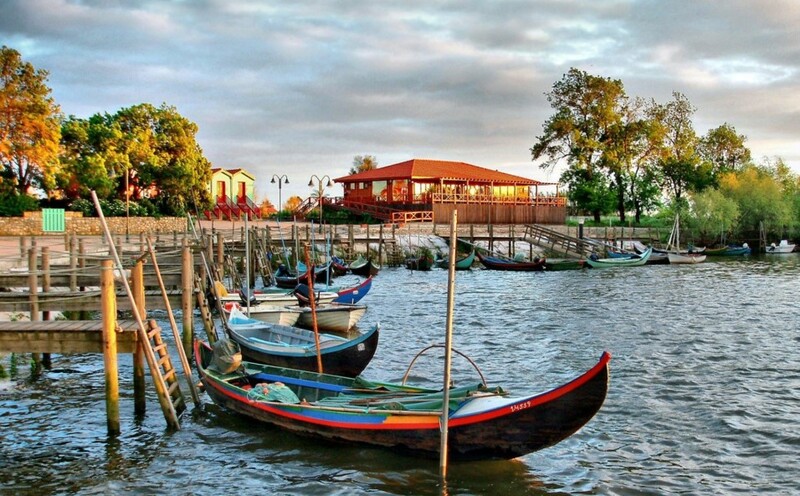 It will be in a restaurant on stilts, leaning against the river, where we will delight with the repast that this zone of campinos (riders who take care of the bulls), horses and bulls, full of tradition, has to offer. 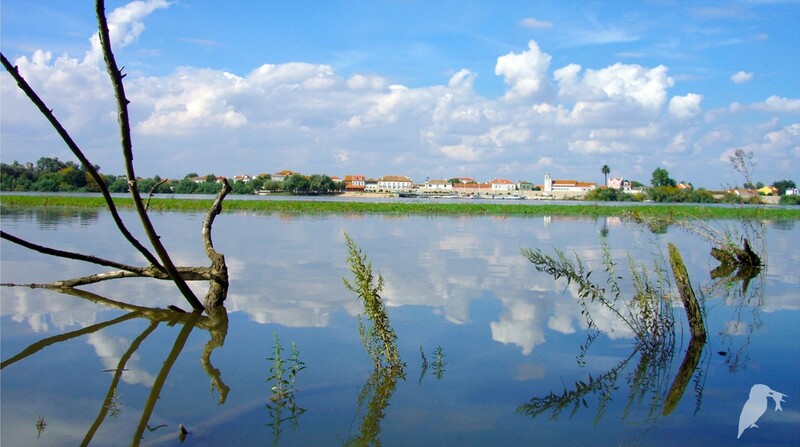 Later, we will visit one of the largest wine producing farms of Ribatejo on a tractor/jeep, followed by an equestrian baptism with “Pure Lusitano Horses“ race. After we will have a wine tasting accompanied by some local delicacies. 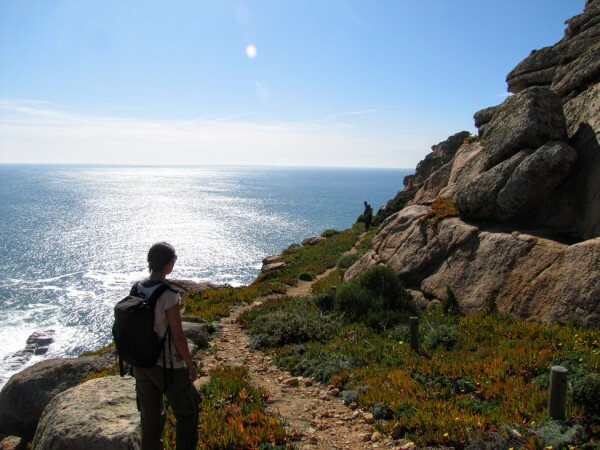 It will also be on this day that our hikers will sleep in the village of Cascais, known by its beauty and famous charming bay. The dinner will be here, in a restaurant known by the creativity of their dishes where traditional flavors are mixed with modern cuisine. 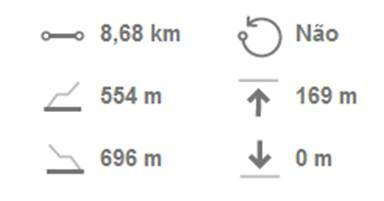 In this day 6, our walkers will have a free morning, because our walk will start after lunch. 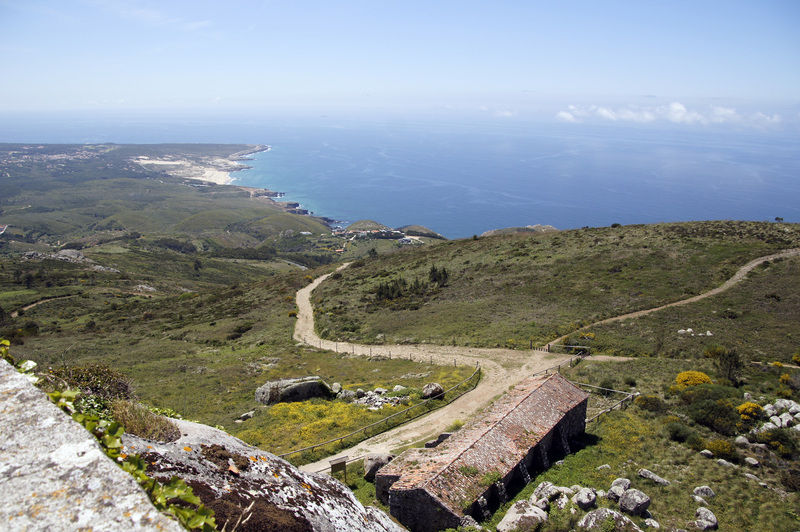 It begins in the Westernmost point of mainland Europe, the Cape Roca, “where the land ends and the sea begins”. This ancient fishermen’s path leads us to discover the untouched beauty of wild Ursa beach, considered by Michelin Guide as one of the most beautiful beaches in the world, as also one of the most beautiful coastlines in Europe. Continuing along impressive cliffs hugged by the mighty Atlantic, we will approach the Fojo, a natural well that connects to the sea and where the most daring can look to the 90 meters deep and find if the Romans had reason to believe that deep down there was a Triton playing music in a conch. Our walk ends with a delicious grilled fresh fish at Adraga restaurant, located on the beautiful Adraga beach, considered by the Sunday Times one of the 20 best beaches in Europe. The Adraga restaurant was considered by Sergi Arola (2 Michelin stars), one of the most well-known Chefs in the world, as “the best beach fish restaurant in the world”. 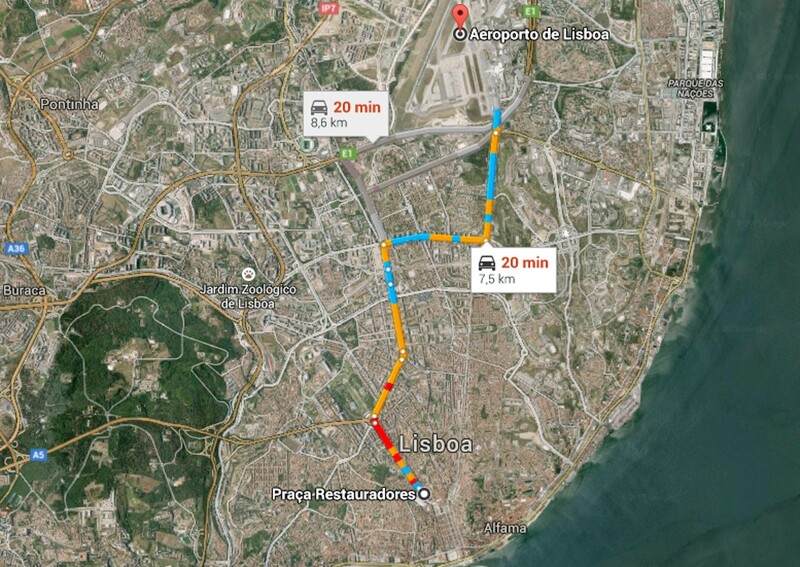 After the dinner, our hikers will sleep the first of two nights in Lisbon, capital of Portugal. 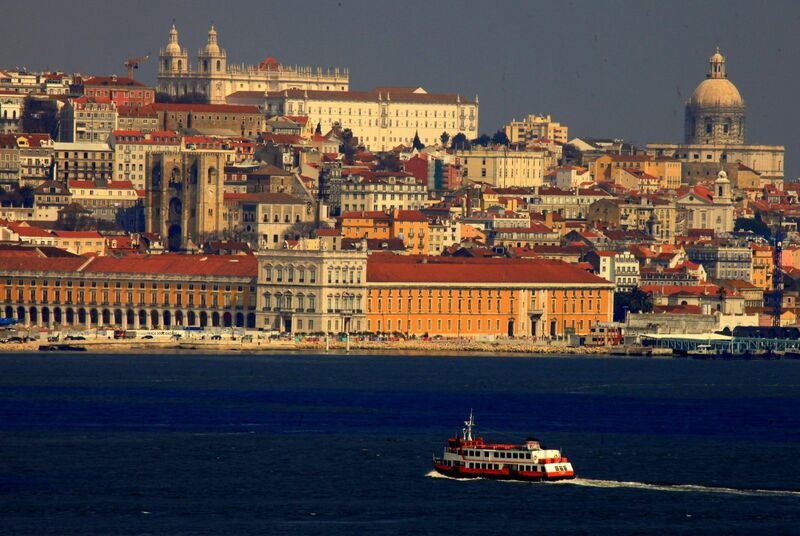 The 7th day of our program is dedicated to Lisbon, Portugal´s capital, also known as the “City of the 7 Hills”. In this ancient city, full of history and light, we will know its more traditional streets, its people, its smells and colors as well as some of its secrets. After this 5 km walking tour around the Lisbon historical center, we will have lunch in a sui generis restaurant located in the “Bairro Alto”, one of the most vibrant and historic neighborhoods of Lisbon. In this wine restaurant, we will taste delicious regional delicacies, accompanied by a sample of some of the main Portuguese wines. The afternoon will be free, and our hikers can enjoy some of the most emblematic areas of the city of Lisbon, like “Chiado”. 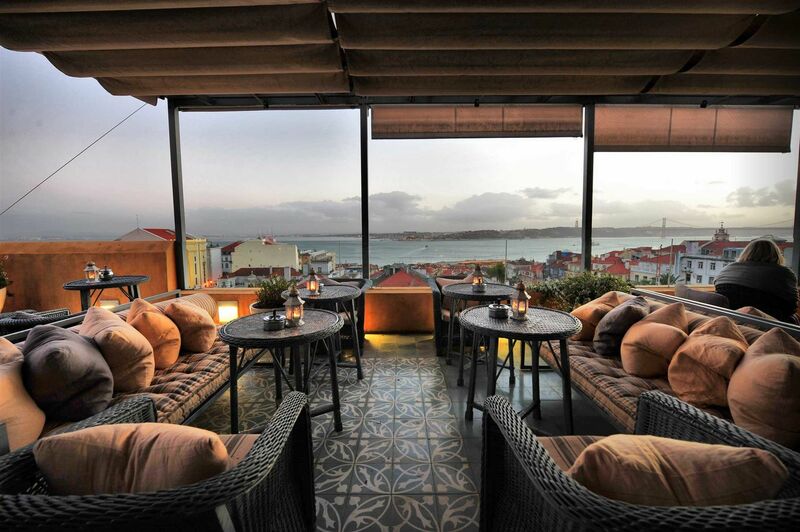 Integrated into a circus school, and with a stunning view of the city of Lisbon with the Tagus river at his feet, the farewell dinner will be in one of the most unique restaurants throughout Europe. The evening will be free. In the early morning, we pick up our walkers to transfer them to the airport, which will take between 15 minutes to 30 minutes, depending on traffic. For families with children up to 15 years, the price is on request because we have a discount on the table price. Although the accommodations aren’t included in our base price (above), we consider the possibility of the final proposal includes accommodations has an extra. We recommend a hotel/guest house/hostel (several possibilities) according to a previous briefing of the client preferences. Once decided we handle everything with the hotel/guest house/hostel. The price will be added to the final cost of all program. This program requires a minimum of 2 participants. For 1 participant the price will be given on request.